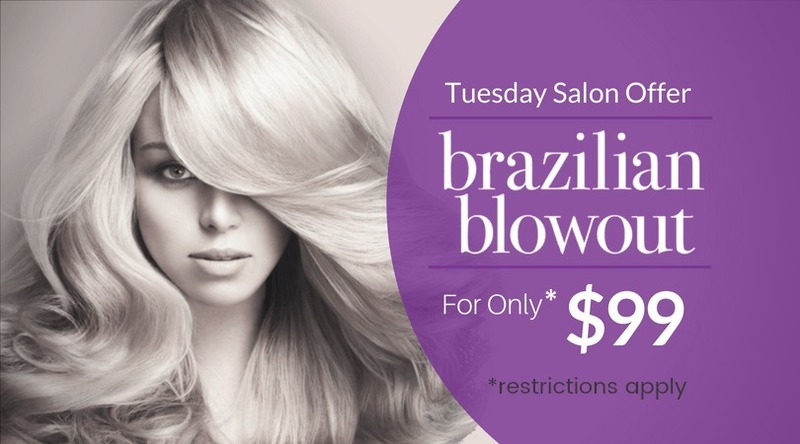 *Tuesday Offer for Brazilian Blowout is promotional base pricing and pricing may be subject to change with additional product usage. Not to be combined with any other offers promotions, bonus cards or discounted gift vouchers or gift cards. Valid with availablility and select stylist on Tuesdays Only. Leaves your hair smooth, shiny, healthy, and free of frizz! Great on all hair types! Results last 8-12 weeks. Call (405) 608-6865 to book appointment or click below to book online.